Ethan Song’s shirt is a statement piece, but not in the way you might expect. The Frank And Oak co-founder and CEO arrives for an interview at a downtown Toronto members’ club dressed in slim black chinos and a pale blue button-down, looking very much like the kind of urban, creative millennial to which his brand caters. 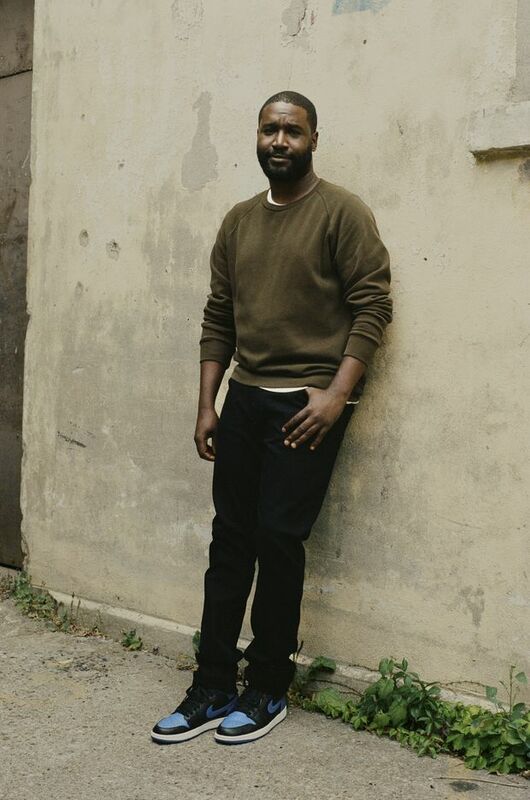 His shirt is made from recycled hemp, part of Frank And Oak’s new “Minimal” line, a collection that’s intended to make as much of an ethical statement as an aesthetic one. Thanks to Song’s keen understanding of both his customers’ desires and the diverse forces driving the way they shop, Frank And Oak has grown from an online men’s wear startup to a major retail player with 20 stores across the country and tens of millions of dollars in investment. Song’s wardrobe today, however, reflects a new direction for the brand, and a trend that could transform the fashion industry. Frank and Oak co-founder and CEO Ethan Song. Everything under the brand’s new label is composed of sustainable materials, and produced in factories designed to use less water and generate less pollution. 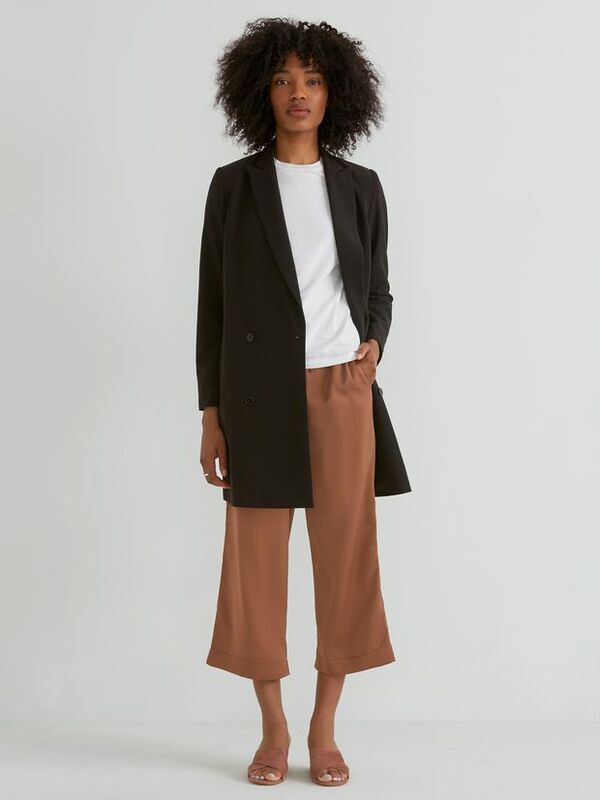 Minimal is intended to provide a stylish option for an increasing number of his customers who want assurances that their clothing is made without harm to workers or the environment, and are willing to pay a small premium for that peace of mind. To Song, and many others across the industry, this represents the future of fashion. “I think that society as a whole, not just in fashion, has been conditioned to get the lowest price possible. It’s a race to the bottom,” he says. “But I think we need to understand that the lowest price has a cost to it.” Millions of litres of water are polluted each year by fabric dyes and toxic runoff from cotton fields, he explains, which is just the beginning of fashion’s sustainability crisis. “I saw a stat that 87 per cent of clothes being bought end up in a landfill… and then it clicked." 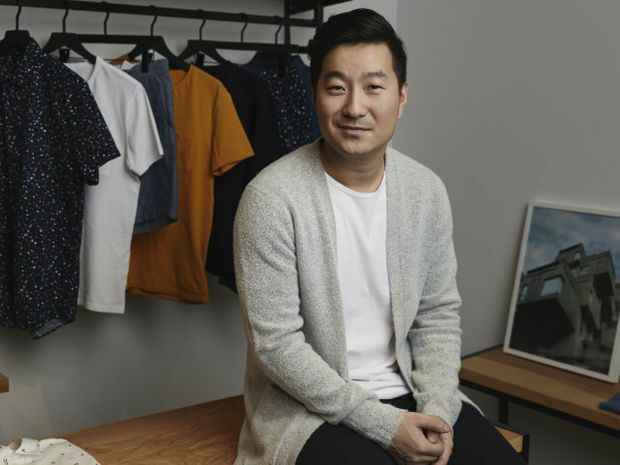 While Frank And Oak was already actively involved with nonprofit work in Montreal, Song realized he wasn’t doing anything to address the impact of the core part of his business: making clothes. Frank & Oak's new 'Minimal' collection is intended to make as much of an ethical statement as an aesthetic one. After decades of human-rights violations, environmental pollution and fast-fashion brands encouraging consumers to cycle through clothes like Kleenex, the industry is now taking steps to address the massive environmental and social problems it has helped to create. H&M, the world’s second-largest fashion retailer, now offers customers store credit for recycling their unwanted clothes, and has vowed to switch to entirely sustainable materials by 2030. Levi’s has committed to using 100-per-cent sustainably grown cotton by 2020, while reducing its greenhouse gas emissions throughout its supply chain by 40 per cent in the next seven years. Even Kering, the French luxury house behind brands such as Gucci, Saint Laurent and Balenciaga, has promised to reduce its environmental footprint by 40 per cent by 2025, and appointed a chief sustainability officer to ensure this target is met. To Kelly Drennan, founder of the sustainability nonprofit Fashion Takes Action, this is all good news, albeit long overdue. “We buy 400 per cent more clothes today than we did 20 years ago thanks to fast fashion,” Drennan says, naming fashion as the second largest polluter in the world after the oil industry. Factories spewing toxins and mountains of unwanted clothes headed for landfills aren’t the only serious issues that need to be addressed, she says. There’s also the routine practice of spraying garments with formaldehyde to protect them during shipping, the unsafe working conditions in workshops and tanneries, and microfibres from synthetic fabrics polluting our rivers and oceans. The Tencel Satin Blazer Dress is part of Frank & Oak's 'Minimal' collection. This is, of course, the central irony of fashion’s sustainability problem: Sustainably made or not, the last thing the world –particularly the developed world – needs right now is more clothes. Almost no one in the fashion industry, however, is ready to suggest that customers postpone their next visit to the mall. “I know that to pay our employees and sustain my brand I need to sell clothes, when really what I should do is stop people from buying clothes,” Song says. Minimal, along with similar efforts from other brands, provides a reasonable middle-ground: worse than buying nothing, perhaps, but better than supporting the conventional fashion system. It’s far from a solution, but addressing a problem this large needs to start somewhere. A shirt might be as good a place as any. “At Kotn, sustainability and transparency are at the heart of what we do. We work directly with each step of our supply chain, from farm to hanger, to ensure the highest quality of life for our community and the highest quality product for our customer. Based in Toronto, we also have an office in Egypt that oversees our supply chain on a day-to-day basis, making frequent visits to all of the farms, mills, dye houses and cut-and-sew factories we work with." 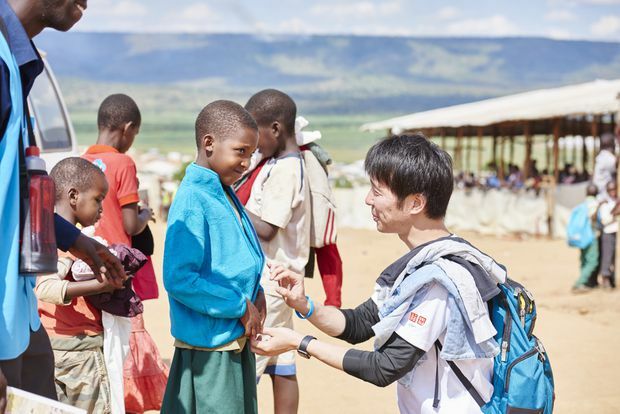 Michael Kobori, vice-president for sustainability, Levi Strauss & Co.
“We recognize that the production of clothing has a substantial impact on the natural environment, so we work to minimize this impact throughout our supply chain. We work to ensure compliance with environmental standards at partner factories, while strictly managing the use of chemical and toxic substances. We closely monitor greenhouse gas emissions, water consumption and discharge, and other key indicators with the aim of minimizing the environmental impact at each stage of our operations." “We believe, that due to our size and scale, we have a responsibility to lead the change to a more sustainable industry for the current and future fashion generations. This is why we have set bold goals like to only use recycled and other sustainably sourced materials by 2030, and to become climate positive by 2040. We must continue to invest in new textile recycling technologies to allow this to happen while also encouraging customers to make better choices and care for their clothing as long as possible." Cecilia Stromblad Brannsten, environmental sustainability manager, H&M group. 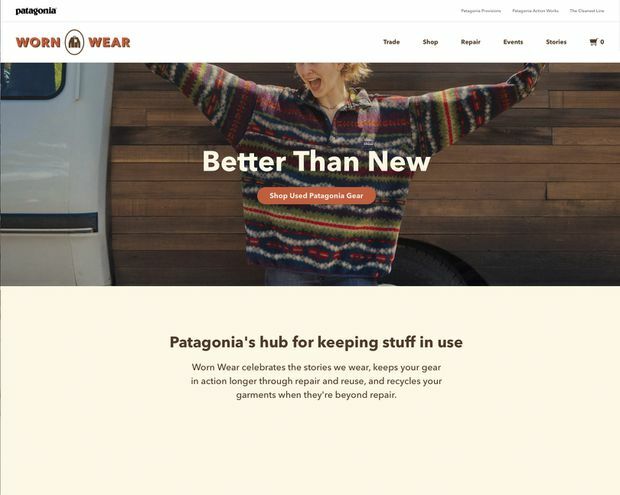 The outdoor clothing company, which many consider the leading sustainable apparel brand, performs repairs on its pieces with no limitation on the warranty, offers care and repair guides on its sit e and has launched an online second-hand clothing shop (wornwear.patagonia.com). Seventy-five per cent of materials used are environmentally preferred (organic, recycled), and 1 per cent of sales are donated to environmental NGOs. First launched to empower women affected by human trafficking in Southeast Asia, Outland trains, educates and employs women with the aim of providing them with the opportunity to be self-sufficient. 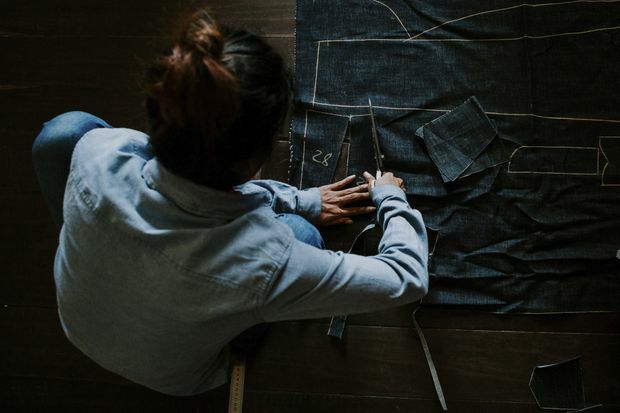 The manufacturing process uses organic denim and natural vegetable dyes to minimize both the chemicals employees are exposed to and water pollution. Thread, buttons, zippers and pocket liners are all sourced to maximize environment responsibility. 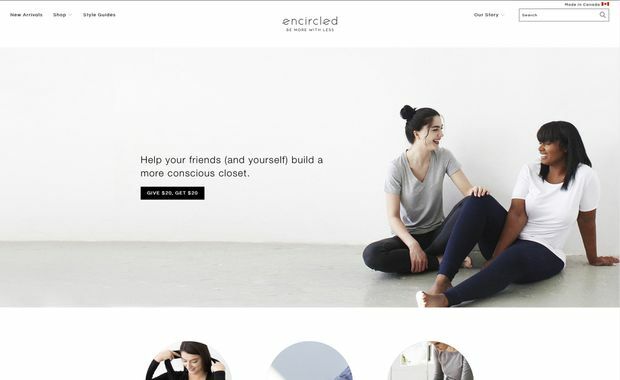 Inspired by travel, this company, which specializes in basics, uses modal, Tencel and bamboo, all sustainable fabrics, and manufactures items via small batches in Toronto factories (the people behind the factories and the specific items made at each one are disclosed on the company’s site). 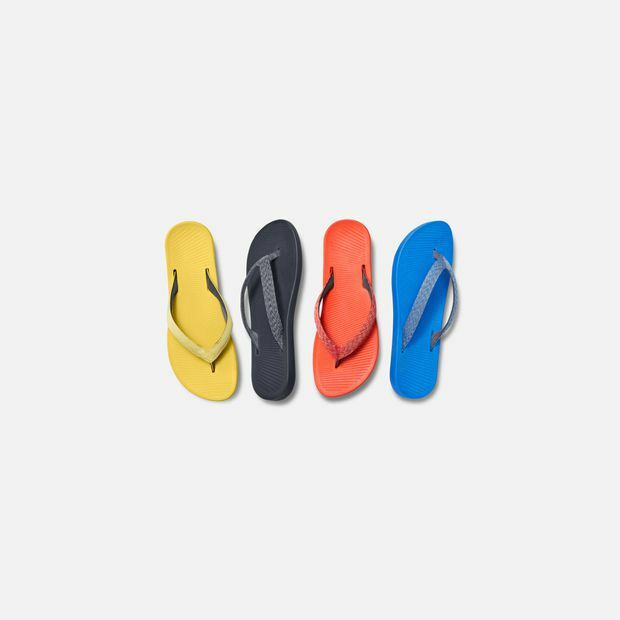 Supplies are bought, when possible, from Canadian companies, many family owned, and material ends are repurposed into accessories to minimize waste. Customers can also opt for minimal packaging when making a purchase online.